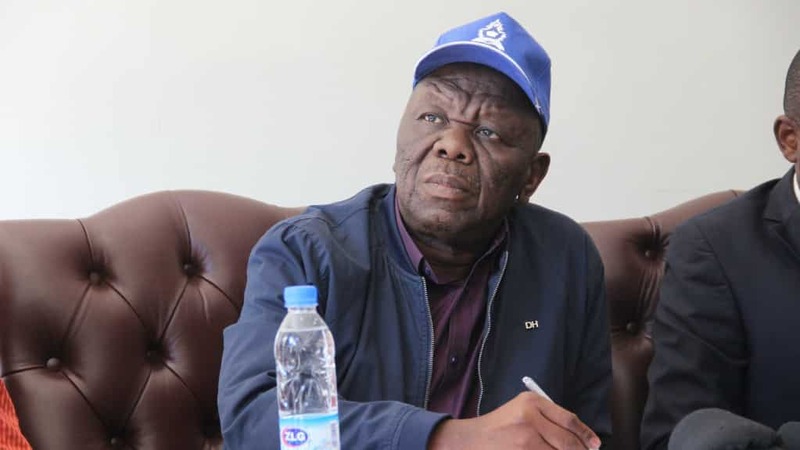 The Morgan Tsvangirai led Movement for Democratic Change (MDC-T) has assured the nation that the ailing opposition leader who is under treatment for colon cancer in South Africa will be back in the country soon. Addressing the media in the capital on Thursday, Tsvangirai’s spokesperson Luke Tamborinyoka said the former trade unionist remains unwell but steady and could make a return to the country, sooner than expected. “l last spoke to the president yesterday in the morning and he said he is not well but you should expect him home soon. “The President remains unwell but is stable. Our behavior and deportment in these trying moments for our President must enhance the towering brand of Morgan Tsvangirai and not seek to undermine it. “Unfortunately, this needless stampede by political vultures is disrespectful of his wife and family as well as the towering edifice of brand Tsvangirai that has inspired Zimbabweans over the year,” said Tamborinyoka. He was responding to the ongoing squabbles within the leading opposition party in the country which has factions emerge and threatening to derail the MDC-Alliance, an amalgamation between the MDC-T and several opposition parties. This also comes as there have been conflicting reports on the acting president of the party after,Tsvangirai, through Tamborinyoka, appointed party Vice President , Nelson Chamisa, as the acting president. This was not well received with members aligned to a faction allegedly led by Thokozani Khupe, who said Chamisa;s appointment was null and void. There have been several statements on social media which were denouncing Chamisa as the acting president, but Tamborinyoka said the decision stands. “There has been a needless furor over my statement communicating President Tsvangirai’s position that Vice President Hon. Nelson Chamisa is now the acting President. “It must be noted that in September 2017, President Tsvangirai left an MDC Alliance workshop in Kadoma and went for treatment in South Africa. “He left VP Khupe as acting President and we communicated the same. On 5 January 2018, the president appointed Vice President Hon. Engineer Elias Mudzuri as acting President and again I communicated the same to everyone. “On the 7th of February 2018, he appointed Hon Chamisa as acting President. There is a pattern about these appointments because as of now all three of his deputies have acted in his absence,” Tamborinyoka clarified. He said he was the only official mouthpiece for Tsvangirai adding that any information that is not from is false.